Today's deals are off the charts with a Lenovo G530 for $380, a Zune for $188, and a free solution to your dwelling's omnipresent bacon and cheeto smell. Check out the OWLE Bubo deal and improve your iPhone's video performance. • 15.4" Lenovo G530 Dual Core Laptop for $379.99 plus free shipping (normally $450). • Microsoft 16GB Zune HD Video MP3 Player for $188.88 plus free shipping (normally $209.99). • Glade PlugIns Scented Oil Gift Pack for $0 (use this form). • ASUS Eee Box 1.6GHZ Intel Atom Desktop for $220 with free shipping (normally $266). • 17.3" Gateway NV7921u Intel Core i3 Notebook for $600 with free shipping (normally $699). • 15.6" HP dv6t Intel Core i7-720QM Quad-Core 15.6in Laptop for $1008.99 plus free shipping (normally $1508 - use coupon code: NBLB654877). • 15.6" Dell Studio 15 Intel Core i7-720QM Quad-Core Laptop (4GB/320GB/Radeon HD4570) for $899.00 (normally $1118). • 15.6" Lenovo Ideapad U550 Laptop for $499 plus free shipping (normally $799 - use coupon code USPU55EU). • 15.6" Lenovo G550 Laptop for $379.99 plus free shipping (normally $430). • 15.4" Lenovo IdeaPad G550 Intel Dual-Core T4300 2.1GHz Laptop for $429.00 plus free shipping (normally $559 - use coupon code: USPG5120). • 14.1" Lenovo IdeaPad U450p Intel Dual-Core SU4100 ULV Laptop for $499.00 plus free shipping (normally $679 - use coupon code: USPU4532U). • 14.1″ HP dv4-2160us Entertainment Laptop for $699.95 plus free shipping (normally $770 - use this rebate form). • 14" Lenovo IdeaPad U450p Laptop for $499 plus free shipping (normally $799 - use coupon code USPU4532U). • 14" Lenovo Ideapad Y450 Laptop for $499 plus free shipping (normally $749 - use coupon code USPY46G). • 13.3" Lenovo X301 Ultra-Portable Core 2 Duo Laptop for $799.50 plus free shipping (normally $1600 - use coupon code MSStore-PC-50%). • 13.3" HP Pavilion DM3-1040US 1.3GHz 4GB RAM 320GB HDD Laptop for $584.25 plus free shipping (normally $699.99). • 11.6" Dell Inspiron 11 1.3GHz 4GB RAM 250GB HDD Laptop for $500.20 plus free shipping (normally $558). • 10" Lenovo IdeaPad S10-2 Netbook for $249.99 plus $10.41 shipping (normally $330 - use this form). • 23" Asus VH232H 1080p LCD Monitor for $164.99 plus free shipping (normally $188 - use coupon code CUPID14). • 22" Dell SX2210T LCD Monitor w/ Multi-Touch & Webcam for $299.00 plus free shipping (normally $469). • Creative Labs GigaWorks T3 2.1 Ch Speaker System for $191.87 plus free shipping (normally $239). • Airlink 101 802.11n Wireless N USB Adapter for $12.99 plus free shipping (normally $18). • LaCie 500GB USB/FireWire Portable Hard Drive for $114 with free shipping (normally $132). • Kingston 32GB DataTraveler 102 USB Flash Drive for $65 with free shipping (normally $75). • Lexmark Prevail Pro705 Small Office Wireless 4-in-1 Printer for $129.99 plus free shipping (normally $160.30). • Intel Core i7 Processor i7-920 2.66GHz 8 MB LGA1366 CPU BX80601920 for $288.99 plus free shipping (normally $305.21). • Foxconn Cinema Premium AMD 785G HDMI Motherboard for $69.99 plus free shipping (normally $99 - use this form). • PlayStation 3 Slim 250GB for $324.99 plus free shipping (normally $350). • Xbox 360 Elite 120GB + extra black controller for $293.99 plus free shipping (normally $338). • Microsoft Xbox 360 Arcade console + $25 gift card for $199.99 plus free shipping (normally $225). • Nintendo Wii Bundle (console,2 games,extra remotes,wheel,gun,boxing gloves,11 sport attachments) for $349.99 plus free shipping (normally $380). • Star Trek Online (PC) + $10 Video Game Credit for $46.99 plus free shipping (normally $58). • Bioshock and Bioshock 2 (PC) for $44.95 download (normally $64.90). • Guild Wars Trilogy (PC) for $42.98 plus free shipping (normally $50). • White Knight Chronicles: International Edition Game Preorder (PS3) for $52.99 plus free shipping (normally $69). • Mirror's Edge (PS3) for $9.99 plus free shipping (normally $20). • White Knight Chronicles: International Edition (PS3) for $52.99 plus free shipping (normally $62). • Dark Void Game (PS3, Xbox 360) for $46.77 plus free shipping (normally $59). • Guilty Gear 2: Overture (360) for $7.99 plus free shipping (normally $19). • Madden NFL 10 (360) + NCAA Football 10 (360) for $59.95 (normally $86). • Call of Juarez: Bound in Blood (360) for $21.99 (normally $30). • Dark Void (360/PS3) for $46.77 plus free shipping (normally $59). • Madden NFL 10 with NCAA Football 10 (360) for $59.95 (normally $90). • Splinter Cell: Conviction (360) for $44.90 plus free shipping (normally $52). • Resistance: Fall of Man (PS3) + Midnight Club: Los Angeles Complete Edition (PS3) for $50 plus free shipping (normally $61). • We Love Golf (Wii) for $12.82 plus free shipping (normally $19.99). • Sonic and the Black Knight (Wii) for $21.99 (normally $28). • Tatsunoko VS. Capcom: Ultimate All-Stars (Wii) + Tatsunoko VS Capcom Arcade FightStick (Wii) for $114.98 plus free shipping (normally $125). • steelseries 5H V2 3.5mm Circumaural Gaming Headset for $49.99 plus free shipping (normally $79). • Creative Labs Sound Blaster Arena Surround USB Gaming Headset (PC) for $79.99 plus free shipping (normally $101.17). • 58" Samsung PN58B550 Plasma TV + Panasonic DMP-BD60 Blu-Ray Player for $1597 with free shipping (normally $1797). • 52" Sony BRAVIA KDL52XBR9 1080p LCD TV w/ Free Wall Mount for $1733 with free shipping (normally $1851). • 47" LG 47LH30 1080p LCD HDTV for $679.96 plus free shipping (normally $775 - use coupon code EMCYNYN27). • 42" Vizio SV421XVT 1080p LCD HDTV for $799 plus free shipping (normally $843). • 32" Vizio VO320E Eco Friendly 720p LCD TV $349.00 plus free shipping (normally $390). • 32" Sylvania LC320SLX LCD HDTV (720p) for $269.10 plus free shipping (normally $399 – use coupon code: URTYJLI8). • Onkyo TX-SR607 Home Theater Receiver for $375 with free shipping (normally $450 - use coupon code:RECEIVER2125). • Toshiba BDX2000 Blu-ray Player for $115 with free shipping (normally $150). • Sony HT-CT100 Sound Bar Speaker + Subwoofer (REFURB) for $149.99 plus free shipping (normally $199). • Logitech Harmony 1100 Universal Remote (3.5in Touchscreen, RF Wireless) for $291.49 plus free shipping (normally $499). • Six Feet Under: The Complete Series (DVD) for $67.99 plus free shipping (normally $85). • Ong Bak 2: The Beginning (Blu-ray) for $14.99 (normally $22). • X-Men Origins: Wolverine (Blu-ray) for $14.99 (normally $20). • Godfather 1 & 2 (Blu-ray) for $35.98 (normally $47.50). • I Love You, Beth Cooper (Blu-ray) for $14.99 (normally $25). • The Wrestler (Blu Ray) for $12.99 (normally $23.87). • Gran Torino (Blu Ray) for $13.49 (normally $20.23). • OWLE Bubo with Lens & Mic for $99.95 plus $8.95 Shipping. • Canon PowerShot A480 10MP Digital Camera for $79.99 plus free shipping (normally $90). • Panasonic Lumix DMC-FS12K 12MP Digital Camera for $135 with free shipping (normally $169). • Nikon Coolpix S570 Digital Camera + FREE 4GB SDHC Card for $137 with free shipping (normally $175 - use coupon code:FRIEND10). • Canon PowerShot SD940IS 12.1MP Digital Camera for $229.95 plus free shipping (normally $269.97). • Ultimate Ears SuperFi 5vi Noise Isolating Earphones w/ Microphone for $104.66 plus free shipping (normally $150.32 - use this form). • Sony Webbie MHS-PM1 HD Camcorder for $108.71 plus free shipping (normally $127). • Samsung WEP460 Bluetooth Headset for $1.99 plus free shipping (normally $30 - use this form). • The Sharper Image Indoor/Outdoor Wireless Speaker for $39.99 (normally $60). • Hand of Greed (iPhone) for $0 (normally $2.99). 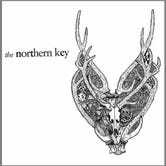 • Proof by The Northern Key (MP3) for $0 (download here). • Prey App download for $0 (use this form). • STAYFREE Sample for $0 (use this form). • YouTube MP3 Downloader for $0 (use this form). • U.S. News & World Report for $0 (use this form).